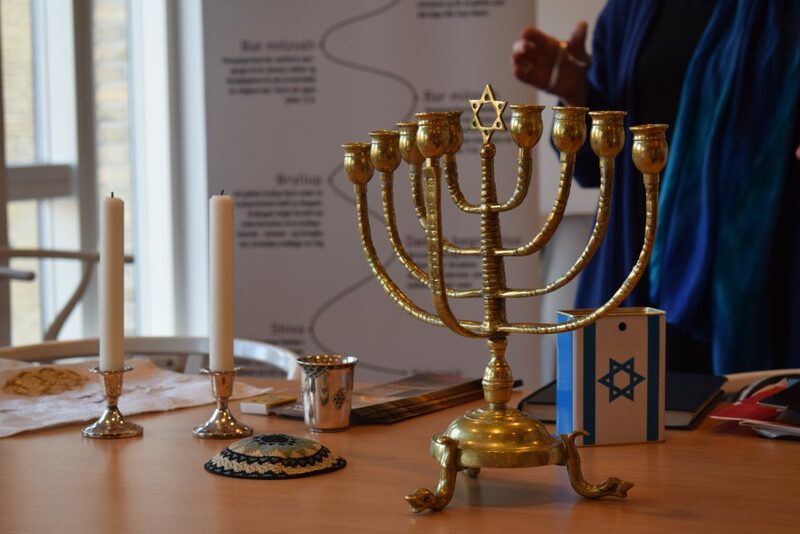 We got the chance to take part in a visit to the Jewish Synagogue today, together with other homeschoolers. We always like to be a fly on the wall, in areas of the world, that we usually don’t have any experience with. It is not easy to get acces there. There has been high security ever since the attack on Sundag the 15th of February 2015 where a man was killed and several wounded. 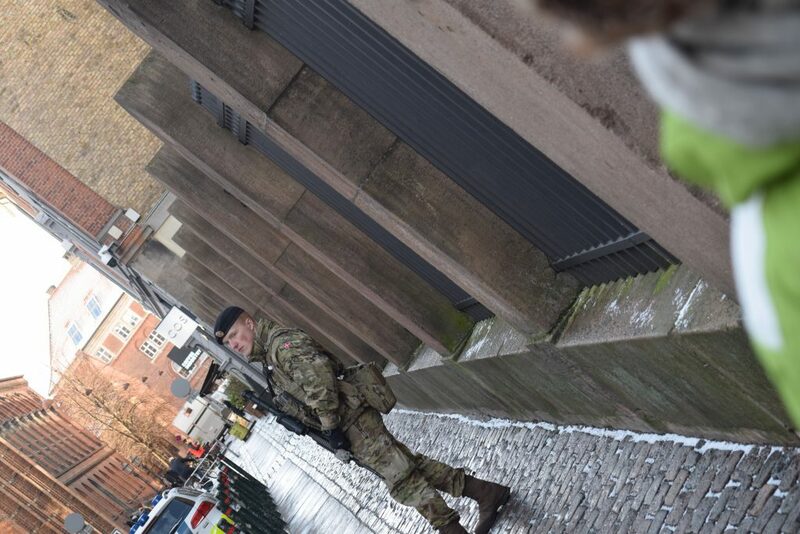 Since that, there has been armed soldiers outside the synagogue, patrolling the area. This is a very sad turn in Denmarks history, as we for so many years have praised our country for being safe, tolerant and inclusive. The front of the Jewish Synagogue in Denmark. 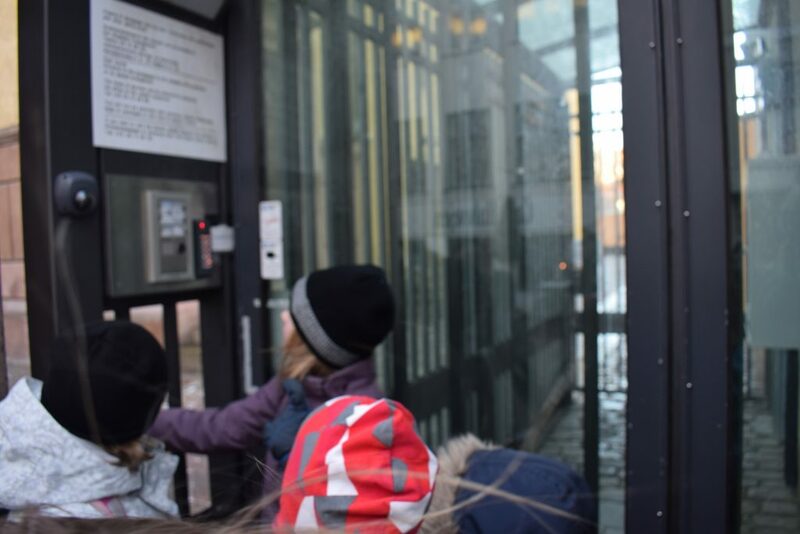 First we had to go through the security, where we were led into a barred section, where the doors locked and then another door opened in the other end, and let us out into the synagogues area. There were more police patrolling and let us into the building. 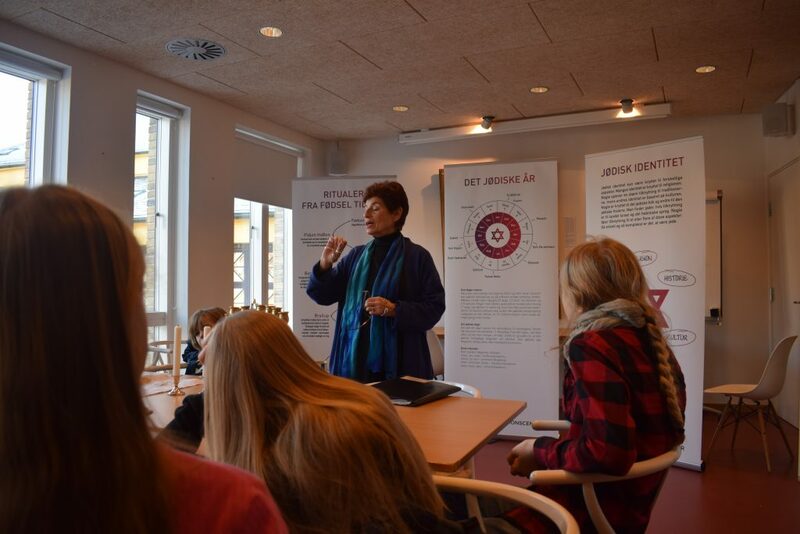 There we met a lovely lady, who were to be our lecturer. She told us about being a jew. Lovely lady telling us about being Jewish. 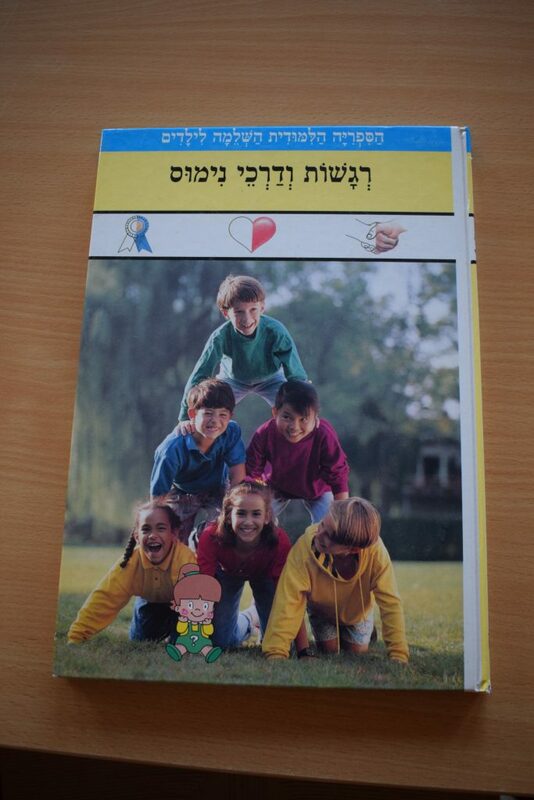 We even found a copy of our favorite lexicon and our favorite book in the series “Emotions and good behavior” in Hebrew. We were told the story of the oil for 2 days that lasted 8 days. A miracle. The story behind the 8-armed candleholder. 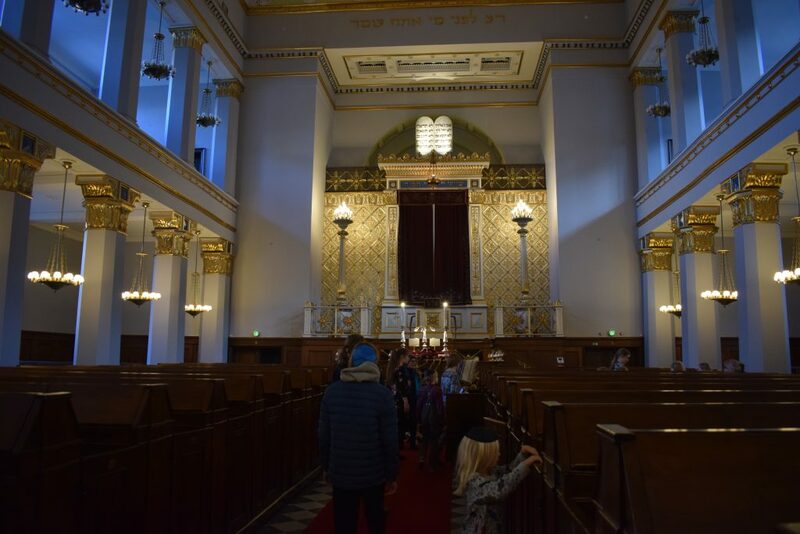 After the lesson in Jewish traditions, we were taken into the synagogue. There we were shown the Torah and allowed to ask questions. All the men and boys had to wear a skullcap. Our son was not happy about being treated differently from his sisters. 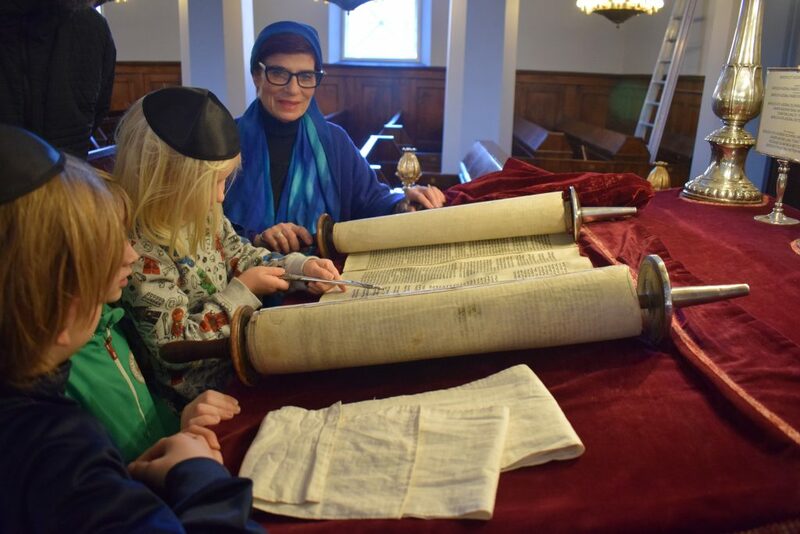 Our son was allowed to point at the text in the Torah. Previous Previous post: Let thy food be thy medicine.